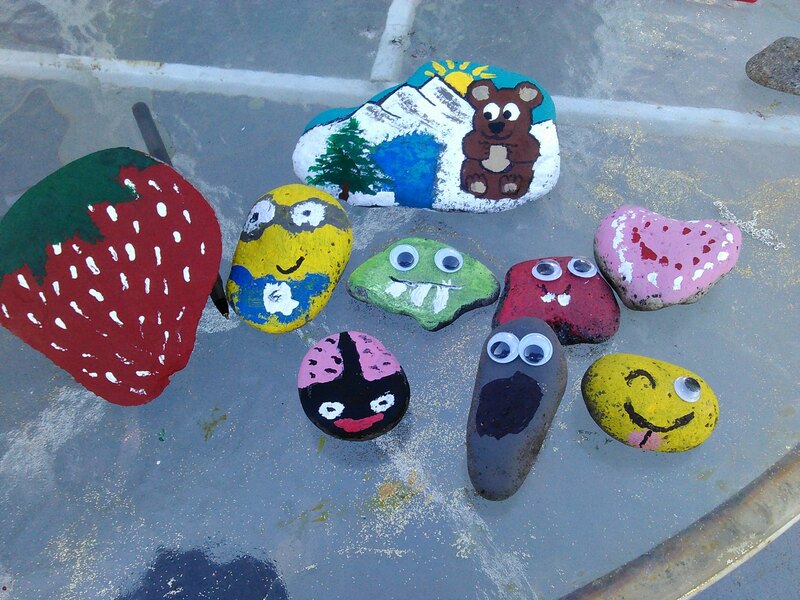 06.14.17 Happy Rocks, Smiley Rocks, Patriotic Rocks, Yes ROCKS ROCK ROCKS!!! 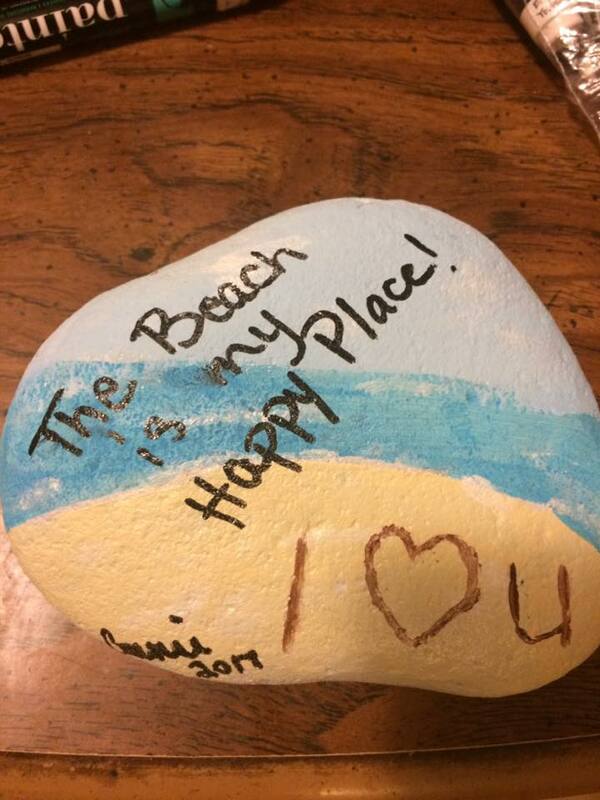 Wednesday, June 14, 2017 – We have collected large, medium and small rocks from all around the United States and have them in our garden at our home base in Amite, Louisiana. 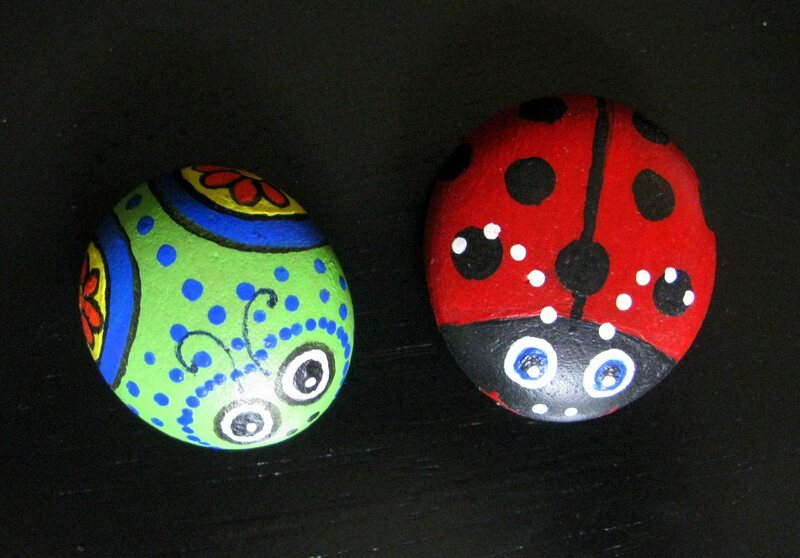 Recently I’ve been thinking how cool it would be to paint on some of those rocks with my grandchildren. I decided to take a shot at it, before getting the kiddies involved, keeping in mind that I am a pretty pitiful painter. Even when painting walls more paint winds up on me and my clothing than on the wall. I don’t have artistic capabilities but I have a love to share positive messages with others. The key in my plan is to leave inspirational messages for others to find. If it makes them giggle, smile or out right laugh I will have accomplished something that makes me happy! I recently posted on Facebook that I was going to do this and asked guidance from my artist friends as to which paints they recommended. One of my FB friends, Kelley O’Connor, tagged a friend of hers, Connie Meades Ferguson. Apparently Connie has been doing this same thing for a while on a big scale. On her Facebook page called Montrose “Rocks”! a lot of inspiration for rock paintings can be found! 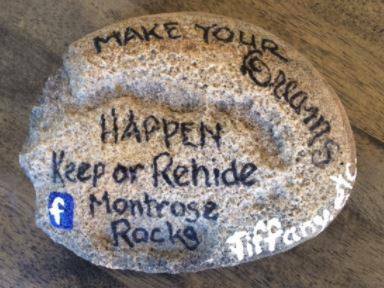 Click on the Montrose “Rocks”! link to be taken to her Facebook page. This is a link to a great video about Connie’s project! Connie’s endeavor, and her guidance of what paint supplies to purchase, have inspired me and obviously many others as can be seen by all the rock photos posted on Facebook! When doing some Google research I’ve learned this is exploding all around the country! What a beautiful way to unite our country! 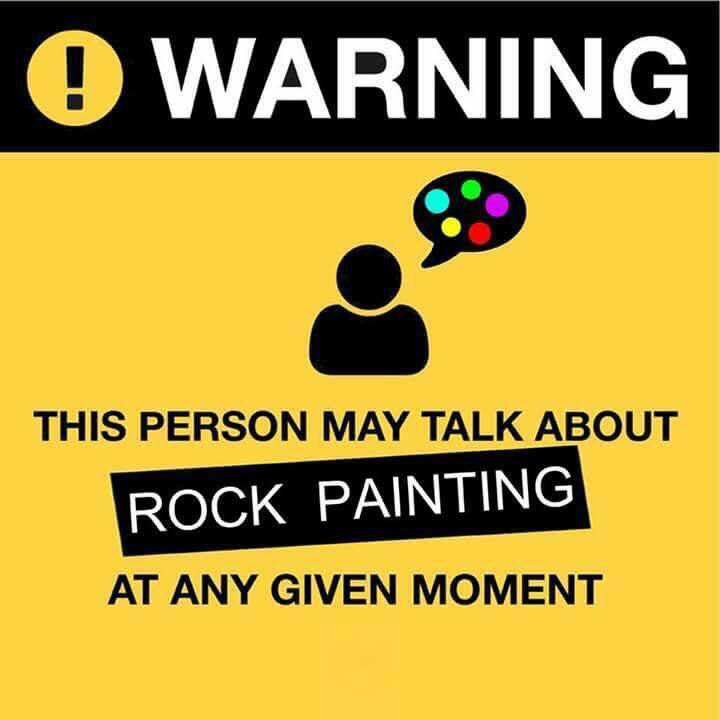 I won’t be painting the largest of our rocks. The medium ones have the name of the state they are from written on them already, though I will be adding some cute decorative art to some of those. The ones I will focus on painting are the smaller ones, 2″ to 6″ in size. I collect craft supplies for Madisyn and other children that come to play. I have several colors of glitter and other paints in those boxes. We purchased some clear, white, black and light pink spray paint and six paint pens. Being as inexperienced and untalented as I am artistically I thought the paint pens would make the finished product come out better! 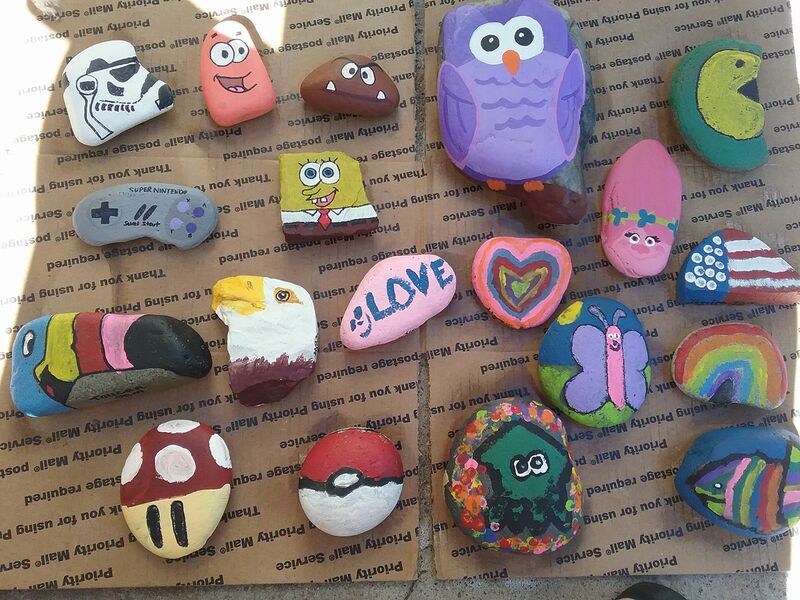 Yesterday I got started by spraying several rocks and today I painted designs on some of them!! Now that I’ve started I see I need some additional colors. How can I paint anything patriotic with just white, light blue and light pink. No, gotta be red, white and blue! Can’t paint a decent Southeastern or LSU rock with the limited colors I have. 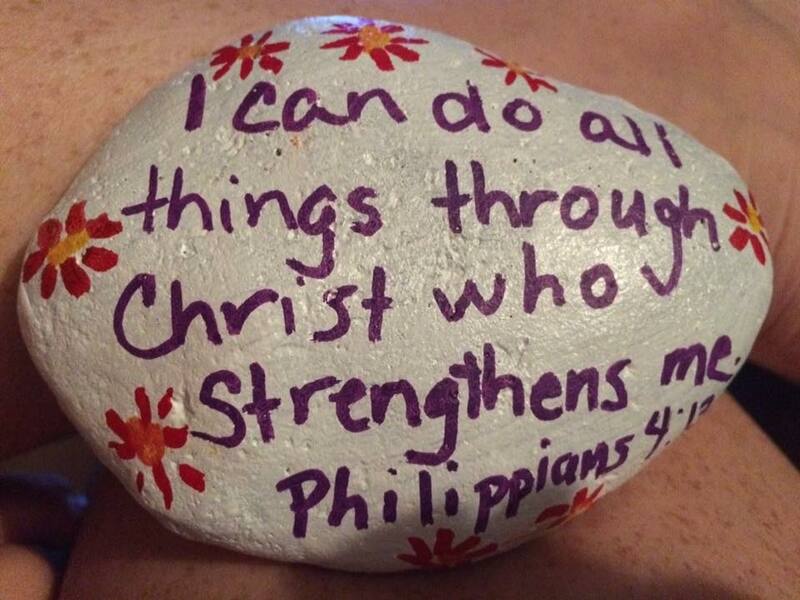 My plan is to not only leave painted rocks around places we visit, but to place them throughout my gardens at home and in the gardens of those I love. I’m not ready to photograph any of my rocks yet but here are just few of the ones on the “Montrose Rocks” Facebook page. You never know what you’re going to get when you open a blog post from Dora and the Explorers! 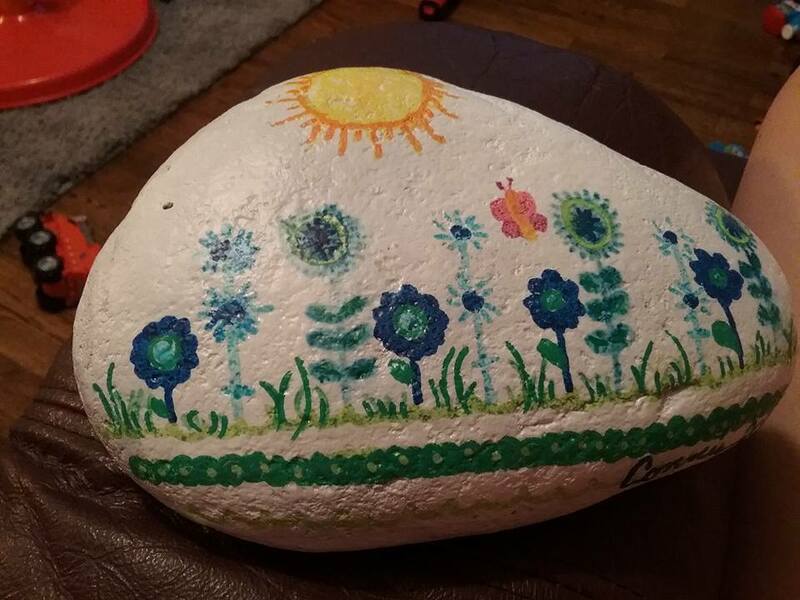 If this rock painting sounds like something you might be interested in I recommend going to Connie’s Facebook page and reading how she recommends you do it, including what type paint to use! 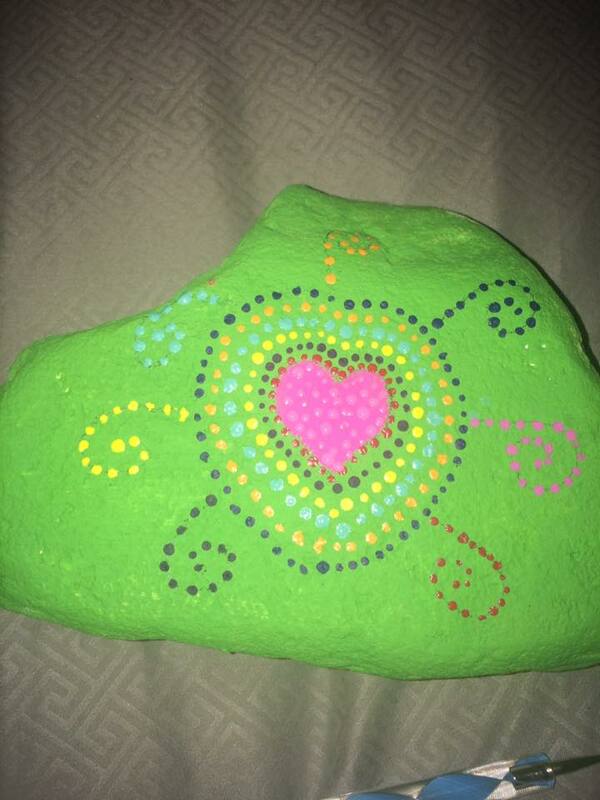 I may create my own Facebook page for myself and others to post their painted rock photos on! If you do get into this please send me a photo of your rocks to rosalyn@selu.edu! We will see how this develops as time goes on! I’d love any feedback ya’ll can give me on this. 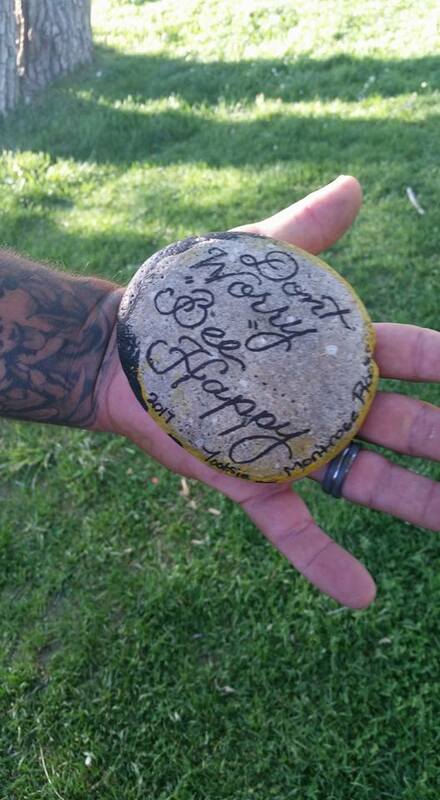 Do you already paint rocks and leave them for people to find? Do you paint them for your own or others gardens? I love using stickers, glitter and other creative items. If you use some of those I would love to learn more! 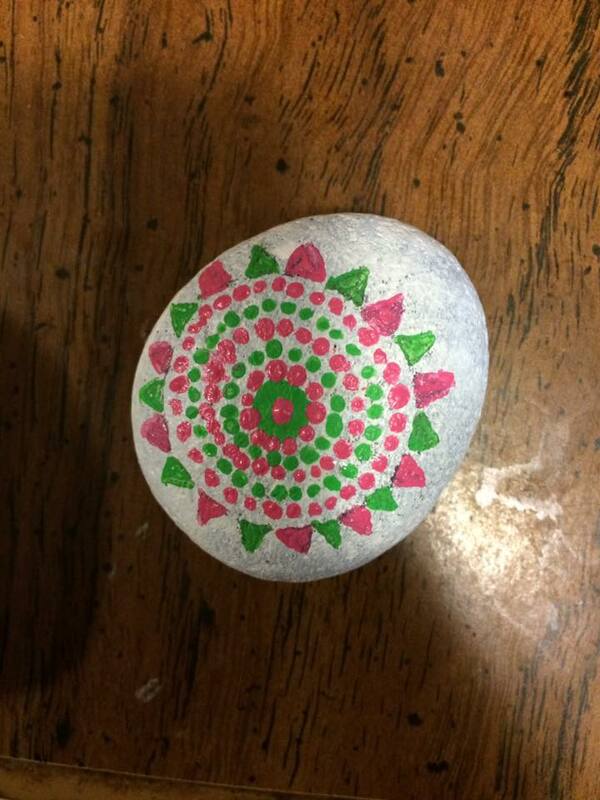 Also if you have rocks that you’d like me to take a stab at painting something on (something extremely simple) please get them to me and I’ll be happy to do that! I just had a thought…… Christmas rocks for the garden!!!! !